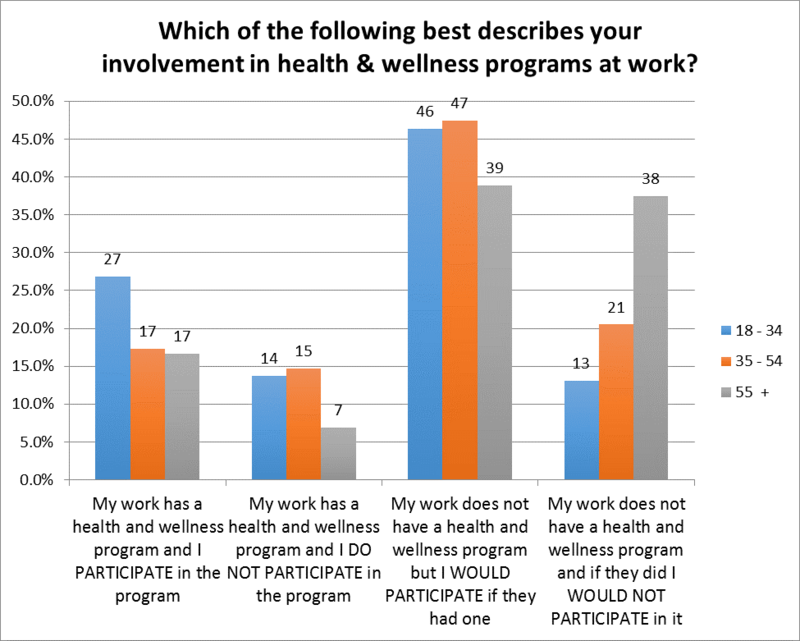 BOSTON, Aug. 5, 2015 – Although 7 in 10 American workplaces offer wellness programs, a new Brodeur Partners survey suggests many employees don’t know that programs in their workplaces exist. 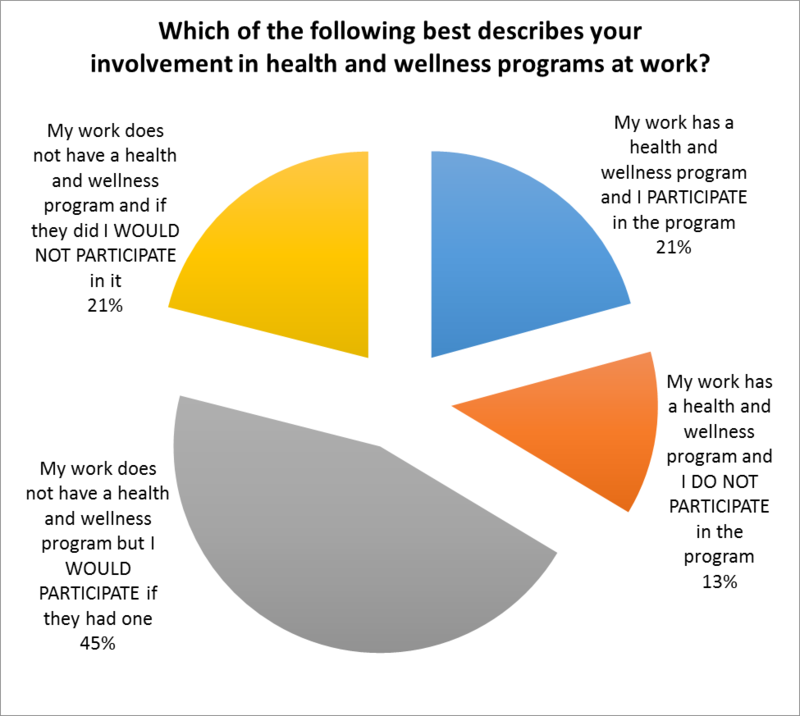 Only approximately one-third (34 percent) of employed Americans surveyed by Brodeur in June said they have a health and wellness program at work in stark contrast to a recent study by the Society for Human Resource Management, which puts the prevalence of such programs at 70 percent. The Brodeur findings buttress other research documenting a workplace wellness communications disconnect. While more than 85 percent of U.S. employers with more than 1,000 employees offer a wellness program, only 60 percent of these are aware that their company offers one, according to Gallup. The Brodeur Health and Wellness survey was based on interviews with 542 adult Americans and covered not only workplace wellness, but diet, exercise and wearable fitness devices – topics that Brodeur will explore publicly in coming weeks. Lack of awareness isn’t the only explanation for an employee indicating her company lacks a wellness program. Sometimes there’s just no program. And the likelihood of that seems to increase with an employee’s age. 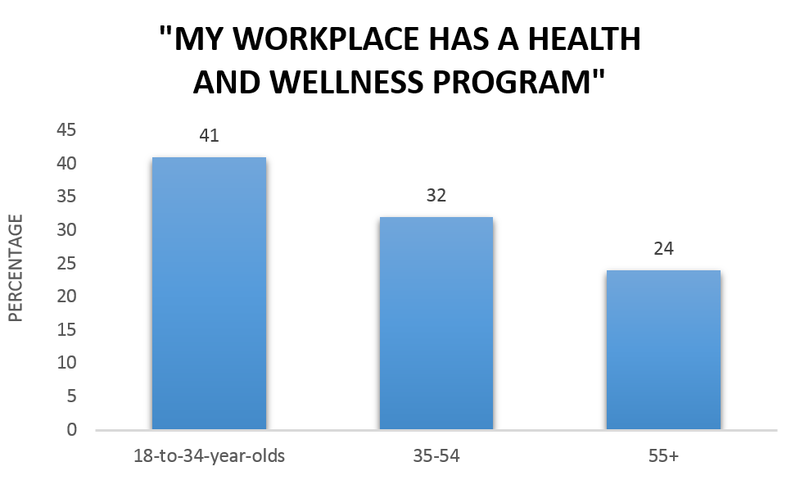 Only 32 percent of those age 35 to 54 and only 24 percent of the 55-plus segments indicated they had a workplace wellness program compared to more than 2 in 5 millennials (18 to 34). 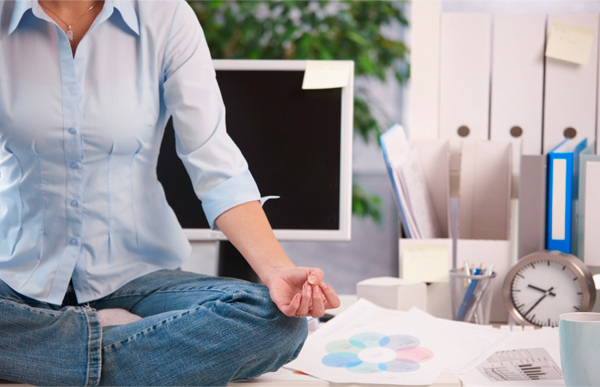 Workplace wellness programs are designed to improve employees’ health and productivity while reducing healthcare costs. These programs can include health risk assessments, help managing chronic conditions, and coaching for a healthier lifestyle. (31 percent), and lack of confidence in an employer’s ability to run an effective program (19 percent). The likelihood of resisting workplace wellness programs increases with employee’s age, the survey found. Fewer than 1 in 3 millennials (27 percent) said they either do not participate in their workplace wellness program or would not if their workplace had one. Such resistance jumps to over 36 percent for Gen X and nearly half (45 percent) of the 55-plus baby boomer generation. Gen Xers and 39 percent of boomers. To make wellness programs resonate with employees, communications efforts must not only make compelling logical arguments but tap into the values American workers hold, the communities they belong to, and the sensory experiences that influence them. These are the pillars of Brodeur’s strategic relevance platform. For more on the workplace wellness challenge, see the Brodeur white paper at http://ow.ly/Qu9eM. The Brodeur Partners relevance study was conducted June 3-5 and was based on interviews with 542 adult Americans (n=542) drawn from Toluna’s national QuickSurvey panel. Survey results were weighted based on U.S. Census data to reflect the exact demographic profile of gender, age and region of the national population.